How to add Current month selection in DatePicker widget? You can add the current month item in the date picker by adding the relative dates collection. To add relative dates in the date picker, choose the Selection Type as Range from the properties tab window. 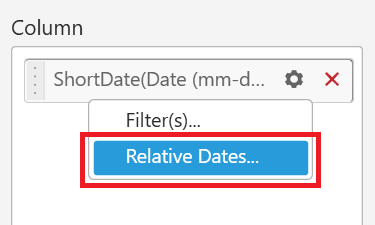 After choosing Selection Type as Range, the relative dates menu will be enabled in the schema setting button. 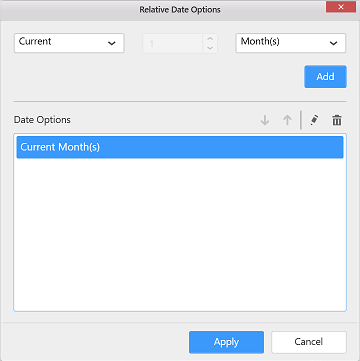 Choose Current and Month(s) option in the Relative Date Options window. Click Add to include the relative date option. Click Apply. 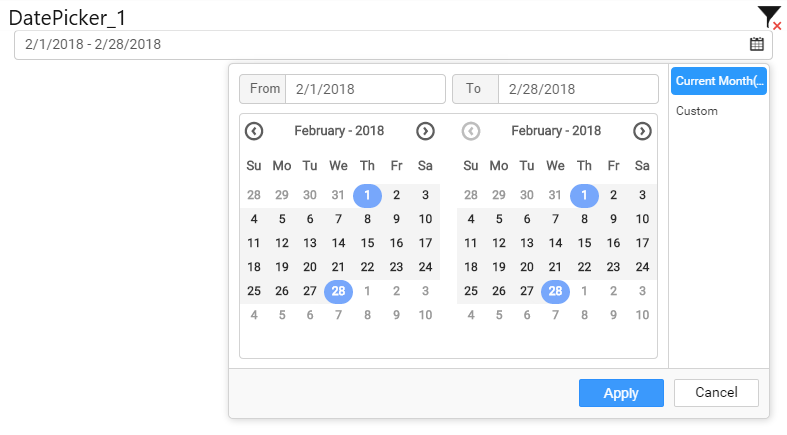 The configured relative date option will be listed in the date picker widget. Click calendar icon and select the Current Month to display in the calendar. Choose Custom to view dates of the current month. 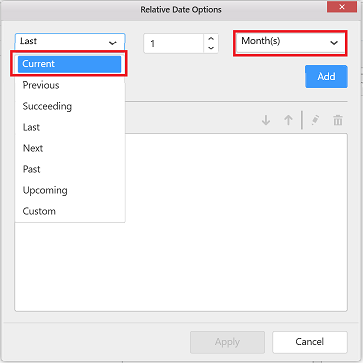 Dates in calendar will be enabled if the connected data source contains data for current month. Otherwise, you can enable dates in the calendar by disabling Limit Dates property in properties tab.